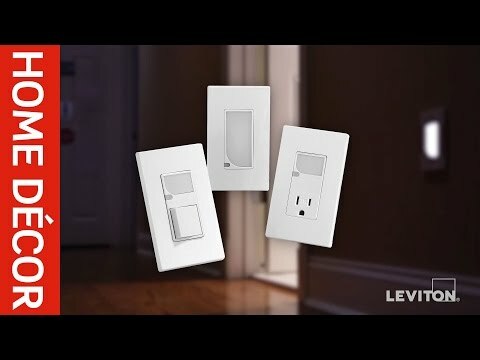 Leviton Decora® IllumaTech® Electromechanical 3-Way slide dimmer in white face color, allows to control the brightness of the light. It has voltage rating of 120/277-Volt AC at 60-Hz. This 1-Pole wall mountable dimmer has maximum load capacity of 1200 VA. It measures 4.15-Inch x 2.12-Inch x 0.38-Inch. LED in the dimmer illuminates when the load is off. It provides 1-Pole one location or 3-Way two location lighting control when used with a 3-Way switch. 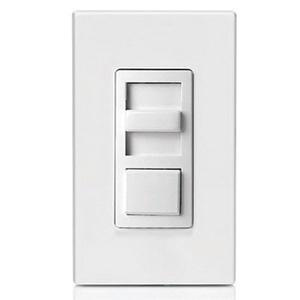 This dimmer is compatible with Decora® Plus™ screwless and Decora® standard designer wallplates. It fits easily into a standard wallbox and is suitable for multi-gang installations. Dimmer is UL listed, CSA certified and NAFTA compliant.